This book was released at the time when there were not many books covering topics on EJB3. This book is not organized well. There is no information or guidance on what IDE to use or how to code example. In the part 1 itself book language is so complex that it assumes reader is having great awareness about EJB Specifications. There can be details there are 3 specification documents given by EJB Expert group, they can be referenced while reading this book. 1 1 Overview No No objectives covered, but important for EJB 3 knowledge. 2 Pre-EJB 3.0: The World That Was No If you are already developing EJB 2.1 then don’t waste time in reading this. 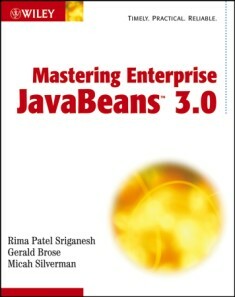 3 The New Enterprise JavaBean Rima Yes Some SCBCD objectives are covered. Examples do not explain about bundling JNDI configuration inside the beans. Developer have to apply own knowledge or search for steps on JNDI configurations. 2 4 Introduction to Session Bean Gerald Yes Limited Examples. Vendor specific implementations not discussed. Glassfish implementation could have been considered while explaining this topic. 5 Writing Session Bean Web Services Gerald No Not enough examples.Steps on generating of Stubs from WSDL file are not explained. This leaves the examples half complete. 6 Java Persistence: Programming with Entities Gerald Yes Incomplete code examples. Lot of theory. Covers so many topics without any complete examples. This chapter doesn’t even talks about creation of table in any database and mapping fields with objects. JavaDB or MySQL table references could have been given. To start with explaining Non JEE JPA example makes understanding very easy.